Run Jen Run: I ran a mile!! Anyway, today marks 4 weeks since my stitches. The doctor told me they will dissolve in 4-6 weeks. Since I am super impatient, I had to go for a little test run today. I was already at Mashpee Fitness for a meeting so I had no excuses. I put on a piece of pink argyle Rock Tape to hold everything together and got to work. 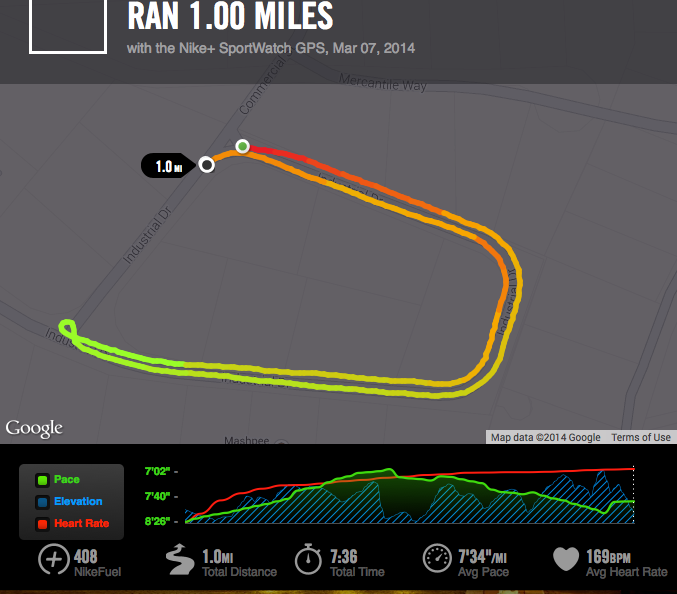 1 mile run (7:36) – I felt pressure and discomfort in the area of the stitches about a quarter mile in but kept going. I was cruising at a pretty good pace but my heart rate was skyrocketing! Probably a good 15-20 bpm higher than it would have been on the same run 4 weeks ago but I ran a mile! !